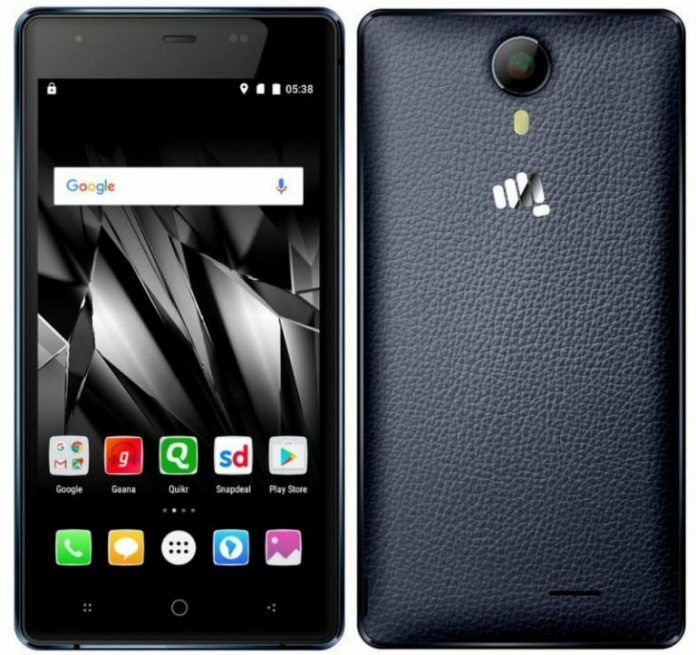 Indian leading smart phone manufacturer Micromax has launched a new model budget fitting mobile in India. The phone is a mix of latest and old specifications. Micromax Canvas 5 Lite is the new model that is launched. The latest phone comes in the Canvas series of the company. Display of 5-inch touch screen with HD IPS technology enables clear and clarity of viewing. The resolution of the screen has 1280 x 720 pixels. An older version of Android Lollipop 5.1 Operating system is placed on the 1 GHz quad-core MediaTek MT6735 64-bit processor accompanied by Mali-T720 GPU. Speed of the device is managed by a 2GB DDR3 RAM. A provision of 8MP rear camera with LED Flash, Omni Vision OV8856 sensor and a 5MP front-facing camera, Omni Vision OV5670 sensor is provided for the photos and videos. The look and style has the flagship carrying for the company. The front is a metal frame and the back panel looks like a leather finish. As usual the phone has a dual SIM support with the connectivity of 4G VoLTE network, WiFi 802.11 b/g/n, Bluetooth v4.0, GPS and a 3.5mm audio jack. Other features include a 16GB internal memory and a provision to expand memory with the help of a microSD, FM Radio is the common features for all the models of the brand. 2000mAh battery provides a good stand by time and talk time as per the company specifications. Priced at Rs. 6,499, the model is made available in Slate Grey and Brown colors. Online and e-commerce sites have started the sales already and made available for delivery for the buyers. Chief Marketing Officer of Micromax Informatics Shubhajit Sen in statement expressed that the launch of this model will be an added advantage to boost their sales in the coming festival season. The low price and the advanced feature will attract the buyers looking to own a smartphone in an affordable price range.